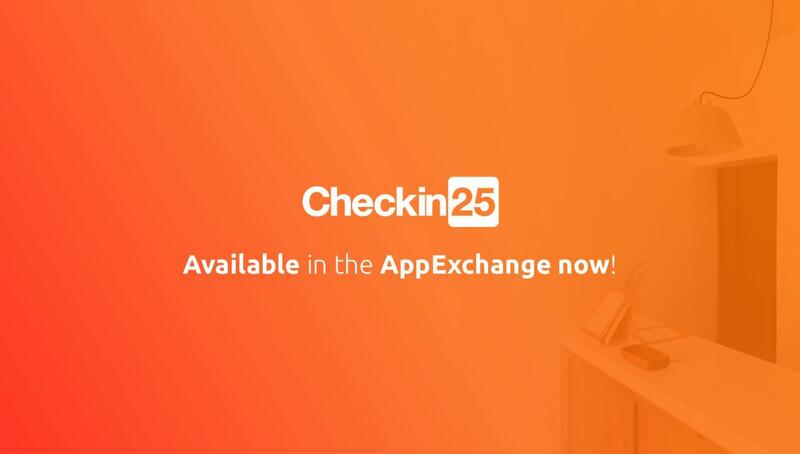 Gen25, the largest Dutch app-developer on the Salesforce platform, has launched a new application, Checkin25. You can download the free trial in the Salesforce AppExchange now. Checkin25 is a self-service check-in app for visitor registration, built on the Salesforce platform and used on a tablet. The easy-to-use application can be used in offices; think about a push notification via Chatter, e-mail or SMS when your guest arrives, special events; one off events where guests require to check-in, and of course hospitality; where self-service check-ins are becoming more and more accepted. The original idea for Checkin25 came from an extension of the already successful native Salesforce application; Booker25. This is a reservation tool which allows the user to easily manage any kind of reservable resource. Booker25 is used to manage resource reservations, Checkin25 can be used to pre-register the guests and provide self-check-in upon arrival. Working with QR codes and pre-filled fields from Salesforce makes this process even easier for businesses and their guests. Since the original idea, the application has developed in a way that it’s now also applicable in various industries. The strength of the Gen25 applications lies in the customizations. “Each business is unique and has their own requirements and needs”, says Gijs Martens, Gen25 founder and CEO. “This is the reason our applications are highly customizable; the more a business can customize themselves within the application, the more use it is to them. Checkin25 is easy to use, completely customizable in design and fields and we believe it can make the check-in process easier while linking all the data directly to Salesforce. As a Salesforce Platinum Consulting Partner Gen25 has made the decision a long time ago to work exclusively on the Salesforce Platform. “We do this, because we wholeheartedly believe in the 360° degree customer view Salesforce offers and with Checkin25 you can now automatically include the date and time of your guests visits.” The app doesn’t only log this information in Salesforce, it also created new objects based on unique email addresses and makes amendments if any of the information is already in Salesforce. To celebrate the launch of this application in the Salesforce AppExchange, Checkin25 offers you a 25% discount for the first year. This offer is valid until September 30th, 2017. For more information, please get in touch with Florian van Dalen, Checkin25 Sales Manager. Gen25 provides strategy consulting and software development exclusively on the Salesforce platform. They are a Platinum Consulting Partner, Gold ISV Partner and Platinum Heroku Partner to Salesforce, the combination of these three Salesforce partnerships is unique in Europe and allows Gen25 to deliver outstanding results on all aspects. In addition to Checkin25 and Booker25 has Gen25 also developed Social25, Tickets25 and Subscription25.